You may have wondered why you haven’t heard from me in a while. Well, this week I’ve been playing with my pc a lot. 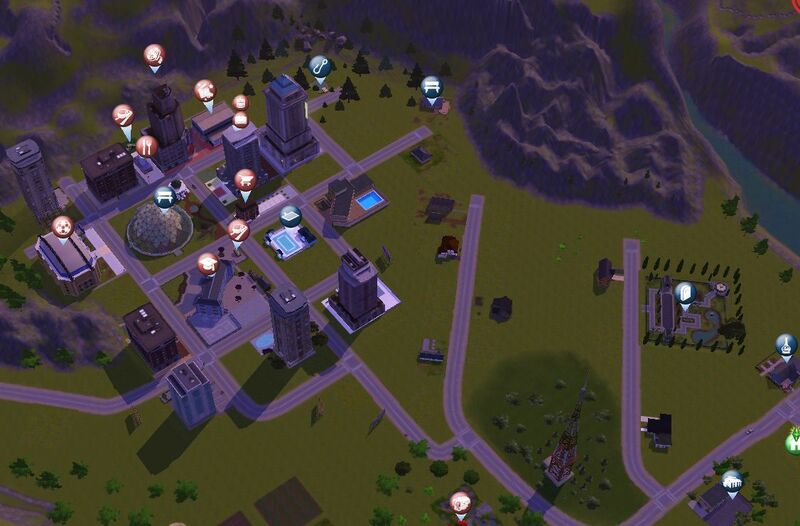 I’ve been a fan of The Sims (EA games) for ages. One of the few games that I have bought for real. Actually, we’ve bought a lot of games but most of those were older ones that were on offer. On my shelves you will find The Sims 1, 2, 3 and 4. From The Sims 1 I have the complete set even and the other version mostly have at least 1 expansion pack. Upstairs I’m running the sims 1 and 2 on my laptop due to the fact these programs do not require a powerful system. 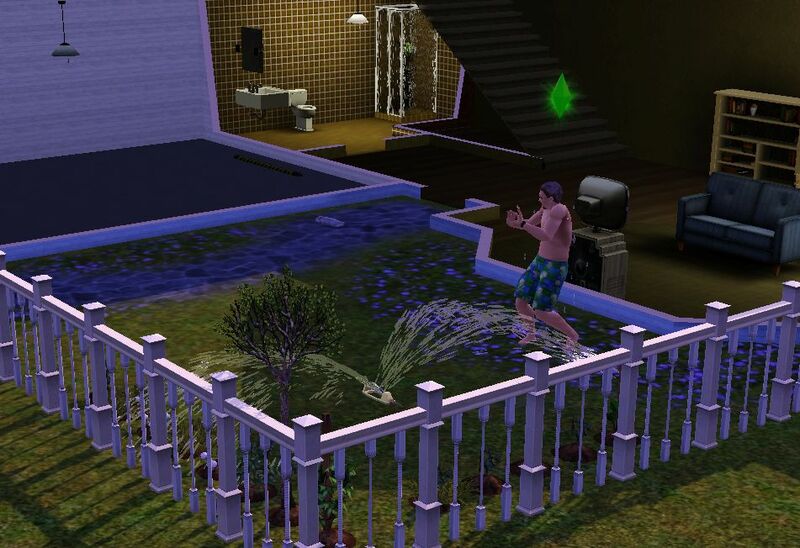 Sims 3 and 4 are running on the work pc downstairs. 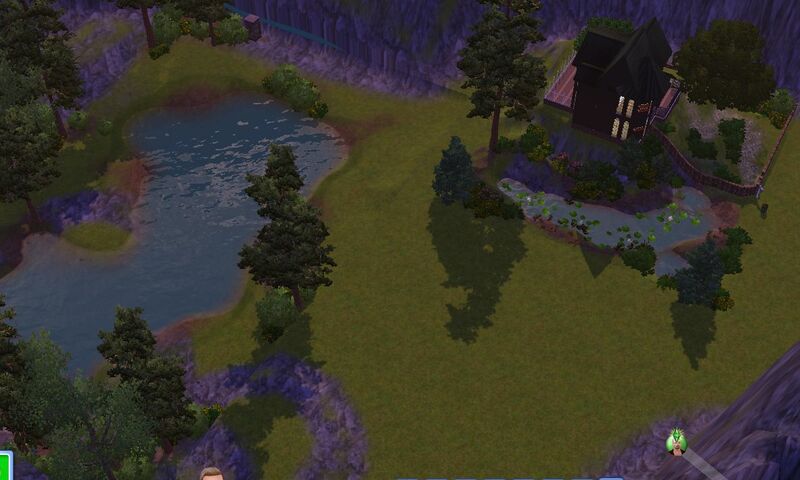 I’ve been merrily playing all games on and off for months until recently I discovered a program to create your own custom world for Sims 3. I’ve been playing the game for a long time and finally you do want some new worlds. They are available via the EA shop of course but that’s going to be costly. The newly found program gives me the possibility to create new worlds without having to spent too much money, just a lot of time and persistence. Since then I’m lost. I’ve been creating for over a week now and I’m hooked. 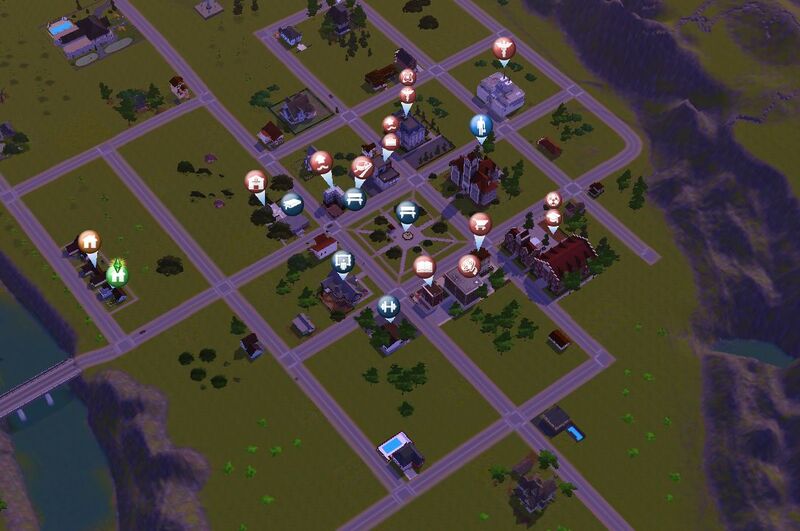 I’ve made a complete world for the Sims 3 and it all works. I’m not saying it’s perfect as there are a few glitches (like a path not completely lining up with the boardwalk sometimes or a tiny fringe at the edge of a plot hidden behind shrubs. But for just one week, I’m actually quite proud to have accomplished this much already. I may create a smaller world next but first I’m going to enjoy playing this world. Below you see some pictures of what I created. It’s one world with 2 towns in it, a modern town with skyscrapers and a rural town. There are fields in the middle and 2 canyons, lots of fishing lots and recreational areas. Below pictures only cover a tiny bit of the complete map. Have a great one, I’m off, playing with my sims again. This entry was posted in Hobby, What's happening and tagged Computer, Sims. Bookmark the permalink.